This is a rare find among the 2007 Harrar lots as it has been a difficult year for this region. 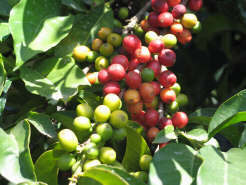 In the cup you will find apricot, cinnamon, fragrant spice, and hints of macadamia nut. As it cools there is a wild tea-like aspect that befits this strangely dynamic cup. A welcome addition to your tastebuds.